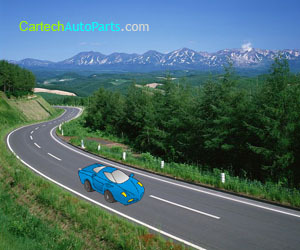 A car tire air compressor is designed to fully inflate your car tires to their required pressure. This pressure can vary depending on purpose and tire design, however it generally hovers within a relatively specific region for each different type of tire size and construction. Available in a variety of different sizes, strengths, and types, air compressors can be used to fill car tires, motorcycle tires, and inflatable sporting and recreational equipment. When picking an air compressor, you need to consider the strength of your tire and its related air requirements, the space available within your vehicle, and the general requirements of your driving. Firstly, you should make a thorough list of what purposes your air compressor will be used for. For many motorsport enthusiasts, a variety of possible uses is important, as many people have an SUV, standard car, and various motorcycles and off-road vehicles that all require use from the same pump. It's easy to set different standards on your air compressor, and with the easily adjustable settings, you can produce different tire pressures for your different vehicles. Simply set the desired pressure rating and let the air compressor take care of the details for you. Your air compressor will indicate that it's completed by either beeping or alerting you visually. In order to get the results that you need, make sure that any potential air compressors can inflate tires to the levels that yours require. Many SUVs and special vehicles require a pressure level that some air compressors simply can't handle, and owners may need to purchase a special air compressor and tire pump. However, almost all standard air compressors can handle the range of tire pressures demanded by most cars, motorcycles, and ATVs. Secondly, if you're planning on using the air compressor as an on-board tire pump for your recreational vehicle, you'll need to consider the amount of space that it takes up, the ease of portability for use off-road, and the amount and source of power for the air compressor. Small is generally best for recreational vehicles and motorsport enthusiasts, however it's important to check that small pumps can still achieve the pressure required for special vehicles. Also, make sure that you can easily maneuver your air compressor for use on different vehicles and for hard to reach tires. Checking that you can use lengthy cords and tubes can add a world of simplicity to your needs when off-road or in a flat tire situation. Finally, check the required power source for your air compressor, and see if it requires the purchase of any additional batteries, transformers, or special power adapters. Finally, you should consider whether the purposes of your driving require an air compressor. If you're out off-road all the time, driving through difficult terrain and spending a large amount of time with your wheels and tires exposed to dangerous conditions, it's definitely a good idea to keep an air compressor on board your vehicle. While space considerations make it difficult for those in a coupe or sedan, anyone in a large four wheel drive vehicle will have no trouble storing a small air compressor on board. However, if your driving is limited to on road use only, along with the occasional use of a dirt bike or motorcycle, it might be more wise to simply top up your tires at the gas station. While a car tire air compressor can be a useful purchase for those that are involved in serious off-road activities, the utility may not be so vital for those that are limited to city driving and weekend recreational driving. With relatively few factors to consider, buying a car tire air compressor is simple and relatively pain free for anyone with a common and regular vehicle.